The story of Herbasway, makes of green tea concentrate. 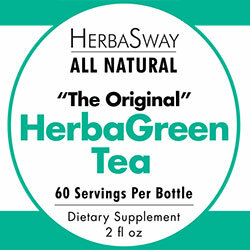 HerbaSway, maker of best-selling HerbaGreen Tea, now has 10 unique blends targeting different parts of the body using all natural ingredients. Over the years, the amount of nutrients in the food we eat has declined. HerbaSway’s commitment is to support a well-balanced diet and exercise plan with all natural supplements that can be enjoyed daily and easily. 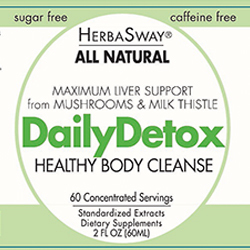 HerbaSway has tailored natural ingredients including green tea and several fruit extracts to supplement the daily servings of necessary nutrients that we are otherwise unable to eat in one day. These products support a healthy lifestyle; ranging from immune health to cognitive function to healthy skin. HerbaSway’s extensive variety of high quality, natural liquid concentrates ensure you are getting the optimum levels of anti-oxidants, vitamins and herbs. 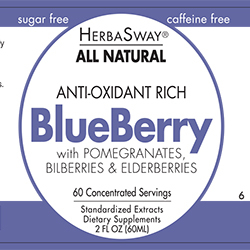 All HerbaSway’s products are sugar free, caffeine free, calorie free, alcohol free and have no artificial sweeteners or preservatives. HerbaSway formulas are based on traditional herbal combinations that have been used for thousands of years. Using only the purest ingredients and wild-crafted herbs, carefully chosen from around the world in combination with the latest western scientific research, HerbaSway’s formulas are synergistically blended to produce optimal balance in your body. Our research and development team of scientists are consistently producing formulas that incorporate the latest, cutting-edge health research. HerbaSway is the right choice, naturally!